As a mom, and grandma, and owner/operator of an in home childcare, I am always looking for the best children's products available. The main thing you consider, is safety, and secondly, quality and convenience. For me, being that I run my business in my home, the amount of space taken up by equipment can become overwhelming. So compact items, as well as items with multiple uses are great! I truly wish that I had known about these high chairs when our first grandchild was born. This is just amazing to me, how it can be used throughout the years! Not only is it beautiful, it can be used for years after your child has outgrown it as a high chair! Be sure to check out the review that was done on this product, then enter the giveaway, and GOOD LUCK!!! 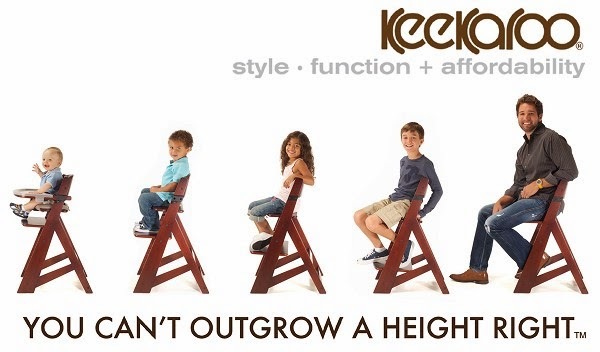 The wooden Height Right High Chair from Keekaroo offers the safe and comfortable seat your child needs during mealtime. 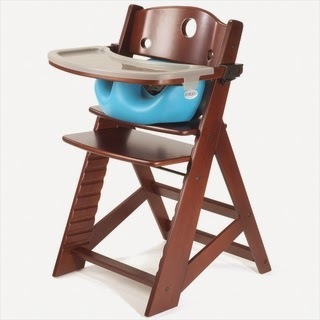 The adjustable wood high chair is ideal for children from 6 months to adults up 250 lbs. When used with the wooden tray, this system is JPMA certified to the highest ASTM standards for children up to 3 years old. The Height Right High Chair also aids with proper seating posture. Read Messy Mama's full review HERE. I have not been compensated for this post. All opinions and experiences are my own. No purchase necessary. Void where prohibited by law. My blog, Cindi's World, is not responsible for prize fulfillment. The sponsor of this event will be responsible for fulfillment of prize. This event is in no way associated with, sponsored, administered, or endorsed by Facebook, Twitter, Google, Pinterest or any other social media network. The disclosure is done in accordance with the Federal Trade Commission 10 CFR, Part 255 Guides Concerning the use of Endorsements and Testimonials in Advertising.